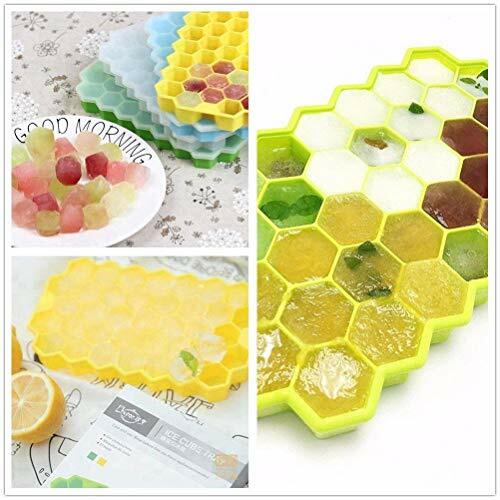 BPA free ice molds. Dishwasher safe. 1. It can add the jelly, apple, peach, pear, grape, watermelon piece into the water, it will give you beautiful feeling this summer. 2. It can make various cold drinks, Mix the milk shake, orange juice, Sweet water, fruit juice, Coffee, Coca-cola, Various tastes give you amazing summer. 3. 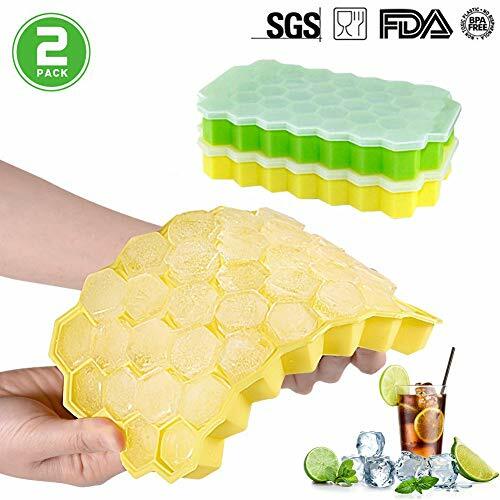 It can make mini ice cubes, Perfect for Whisky, High Ball, Cocktail. 4. It can frozen complementary food of baby. such as: Mashed potato, Mashed carrot, Mashed meat. 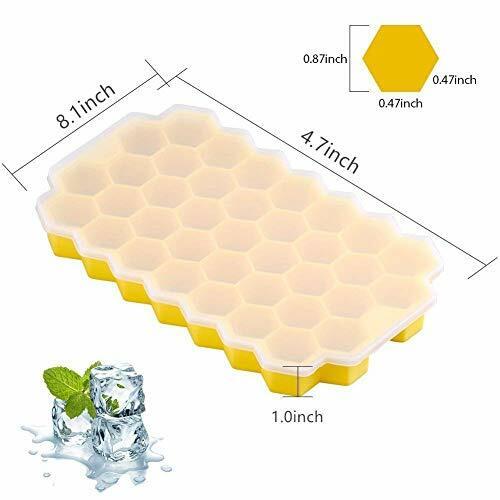 These 2 pack ice cube makers have 74 hexagon trays in modest size , allowing you to make enough cubes at one time, save much your time and energy. SAFETY CERTIFICATION - It is made of silicone which is compliant with FDA or LFGB certification. It is naturally harmless, non-toxic with no smells, non-corrosive, and can be recycled. 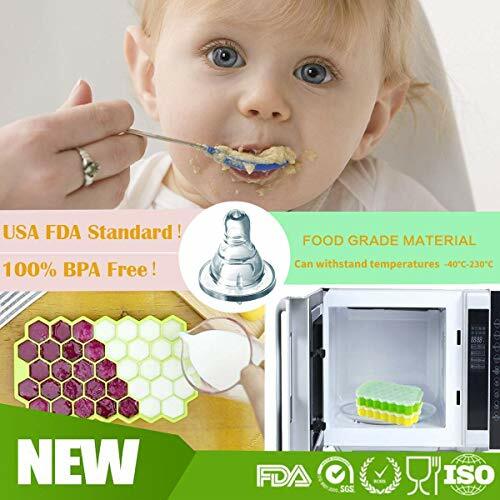 GREAT PERFORMANCE IN HIGH AND LOW TEMPERATURE RESISTANCE - It stands -40 to 230 degrees Celsius and is applicable to refrigerator and microwave. 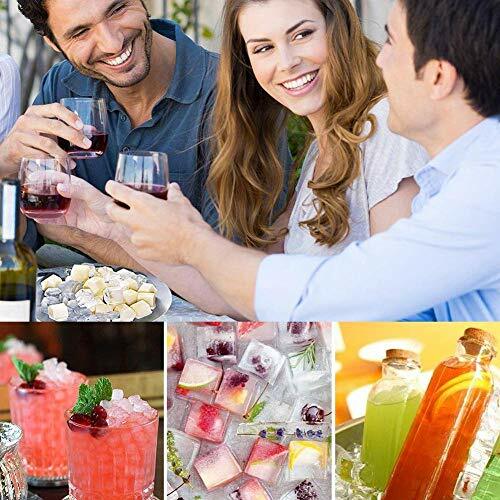 It is mainly used in bars, restaurants or households to produce spherical ice cubes. The ice cubes can be directly put into whisky, fruit juice, and beer to chill the drinks instantly. GOOD FLEXIBILITY - Silicone material is flexible and can restore immediately after being twisted. The material is environment-friendly, safe and clean, good for aging and stain resistance. It will not stick together with the ice cubes during the icing process and helps release the ice cube more easily. 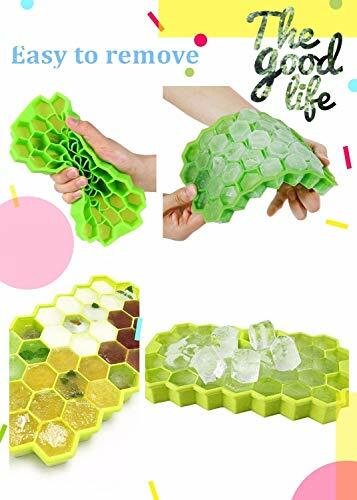 MAkING 74 CUBES AT ONE TIME-These 2 pack ice cube makers have 74 hexagon trays in modest size , allowing you to make enough cubes at one time, save much your time and energy. 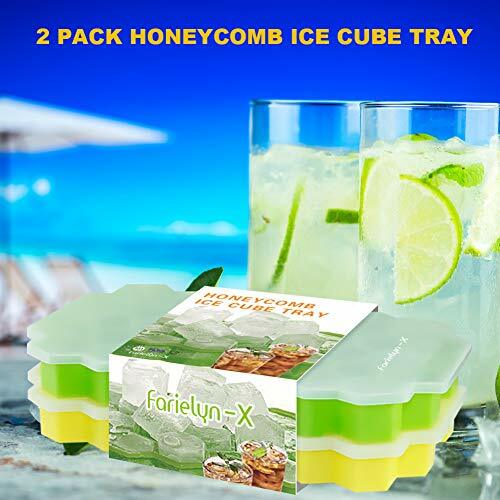 STACKABLE & REMOVABLE LID - Comes with a removable lid, this tool allows you to make nice cubes while keeping ice cubes from absorbing freezer odors. Please note that the lid is just an auxiliary cover and can not prevent leakage.